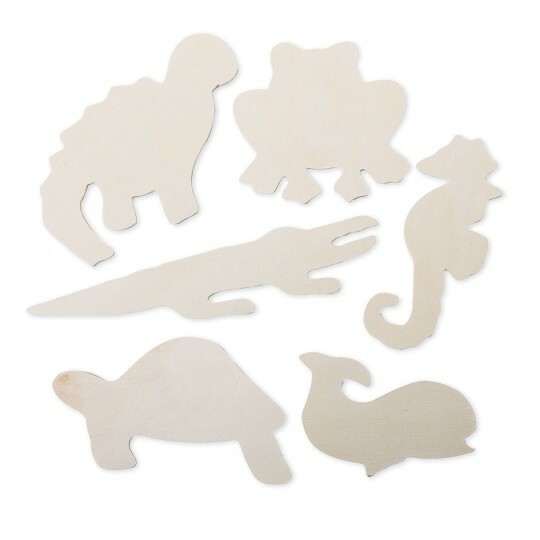 Ready-to-decorate wooden shapes in fantastic fun designs. Perfect project for the classroom, camp or any group. Each pack includes 6 each of 6 designs: Whale, Crocodile, Dino, Turtle, Seahorse and Frog. 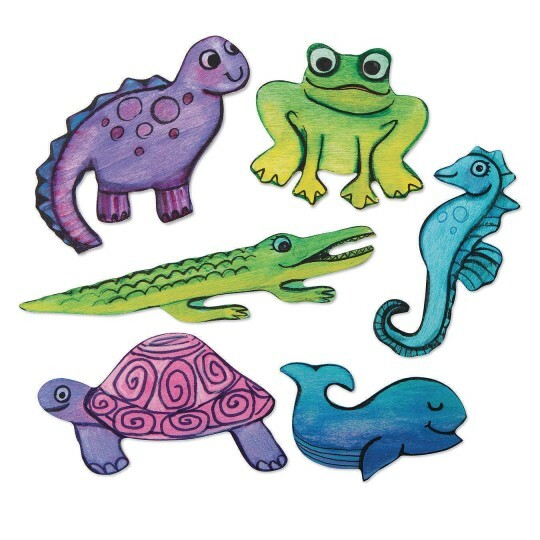 We have bought these for an arts and crafts project at a summer arts festival. We have bought them twice. Good quantity for the price. Nice shapes.